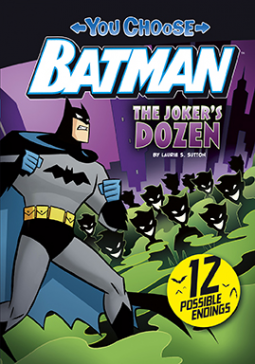 This is a great children's book; the book follows the Caped Crusader as he tries to take down the Joker and keep Gotham safe. The book is targeted to children about 7 or 8 years old; who are barely learning to read chapter books. The story is easy to follow and even gives children the option of picking their own ending. It's a fun adventure for young readers as they explore lengthier reads. Of course anyone really can read this book, however, older readers might not like the book as they will find it too simple. So, keep in mind this is a child's book and have fun.